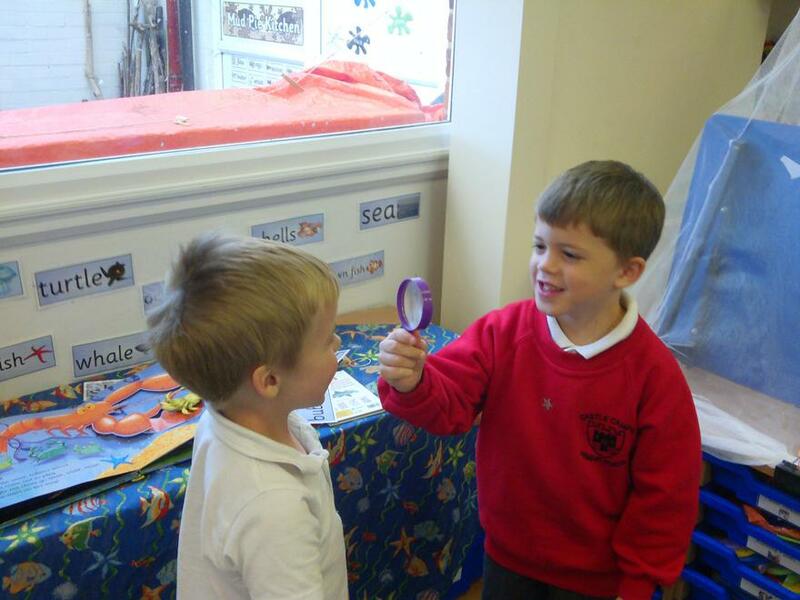 Phonics Pronunciation Links Here are the videos showing the articulation on English phonemes as disccussed at the reading workshop. 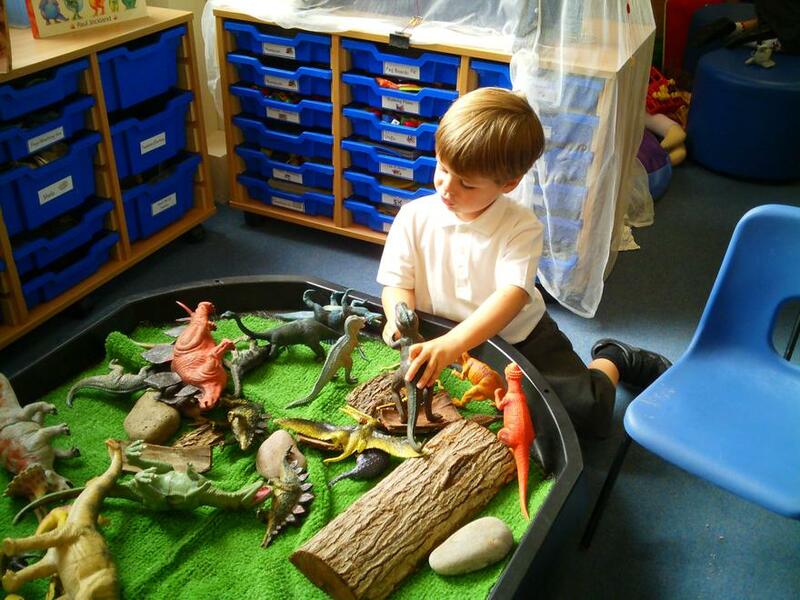 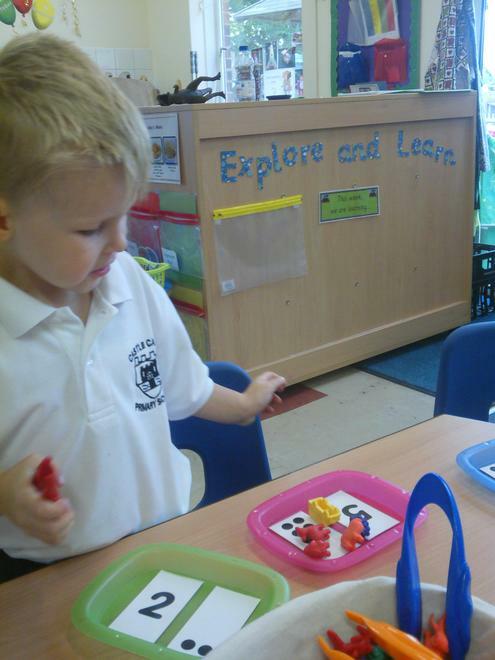 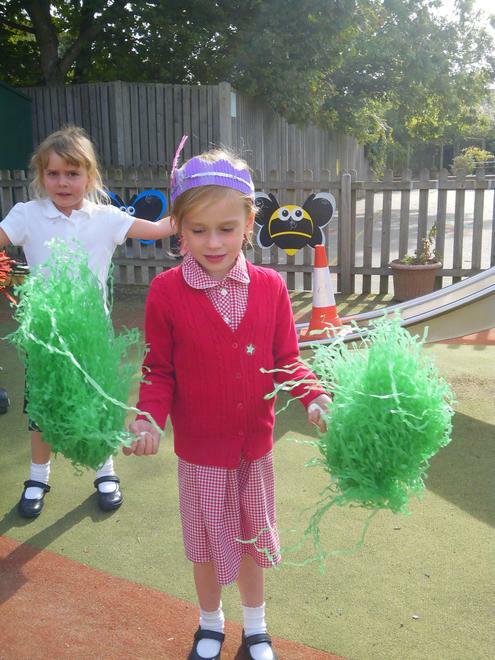 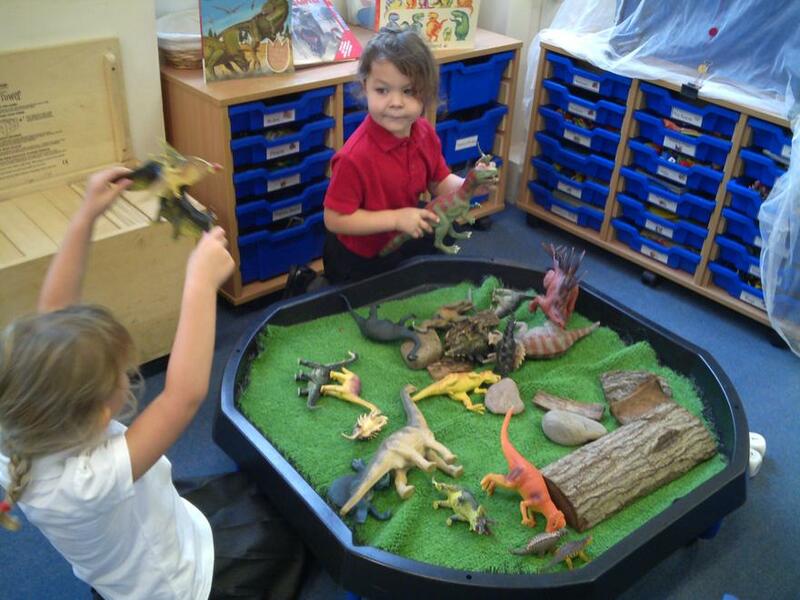 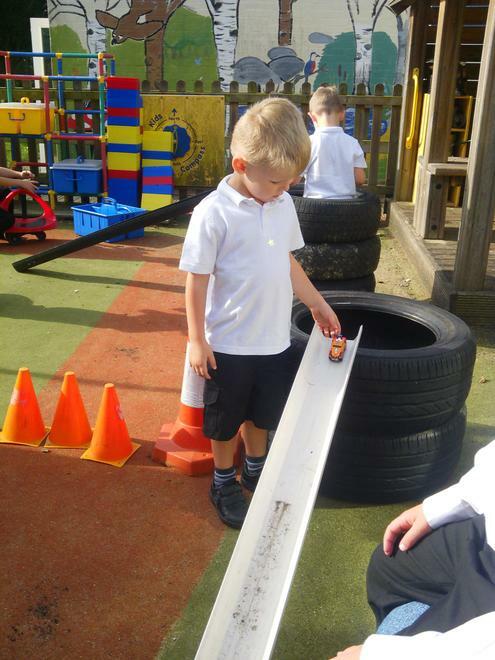 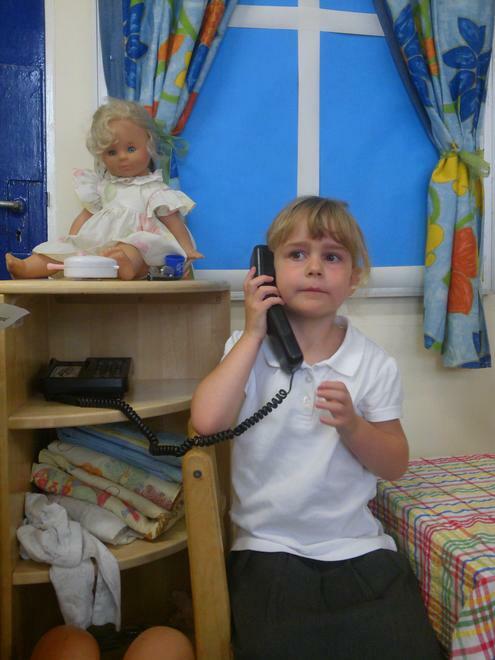 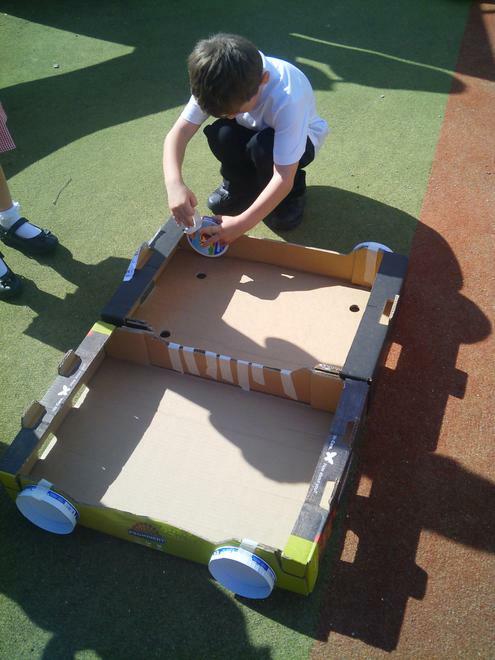 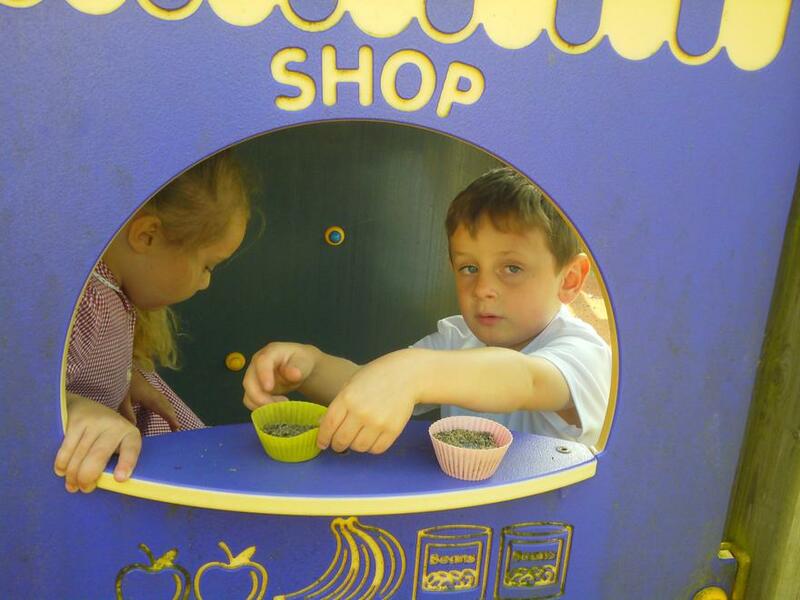 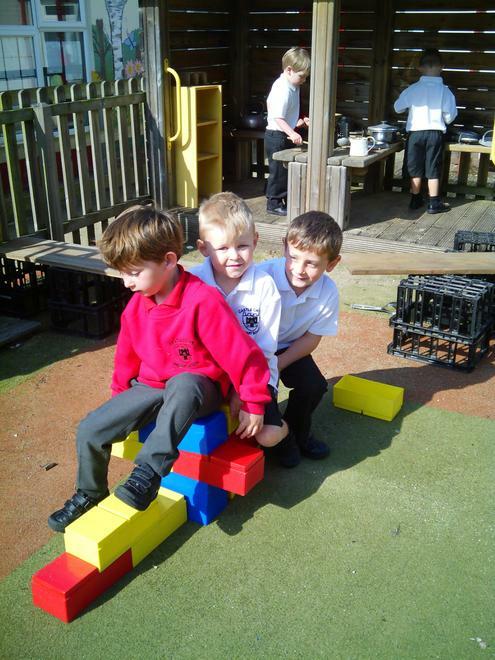 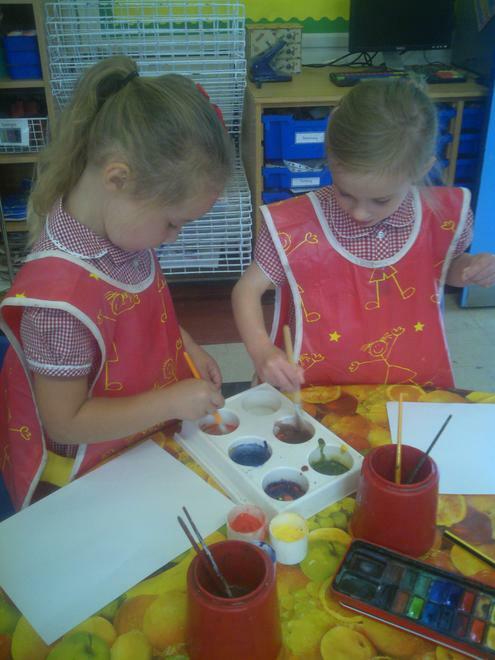 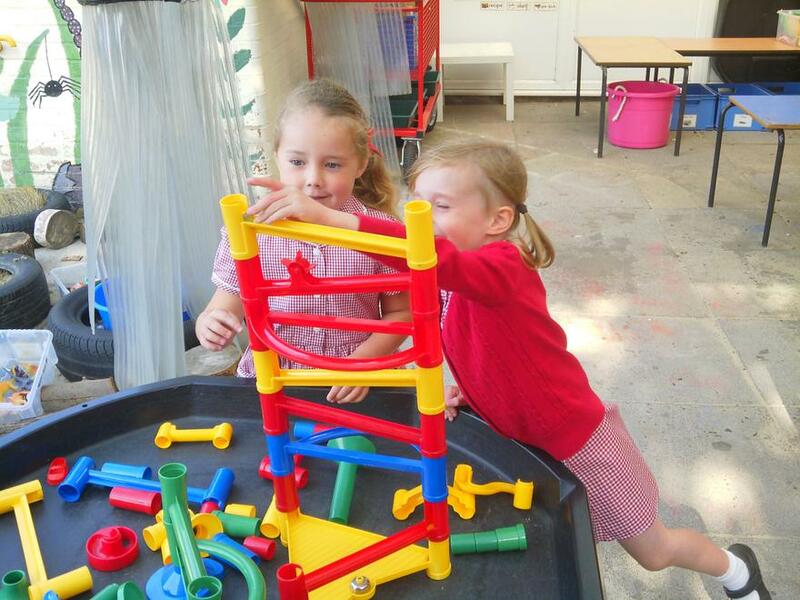 We love learning through play. 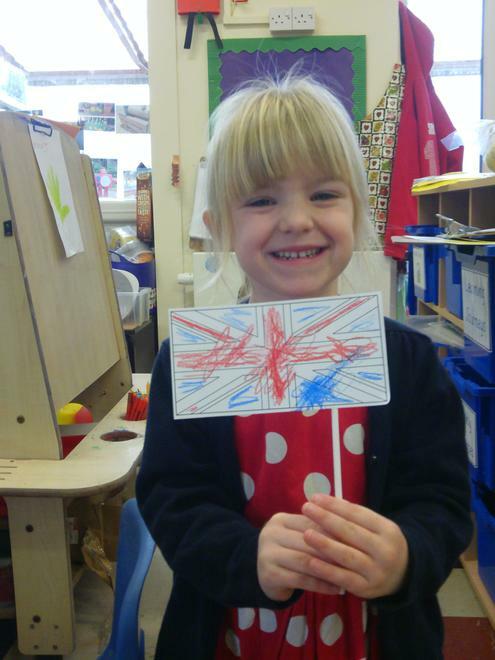 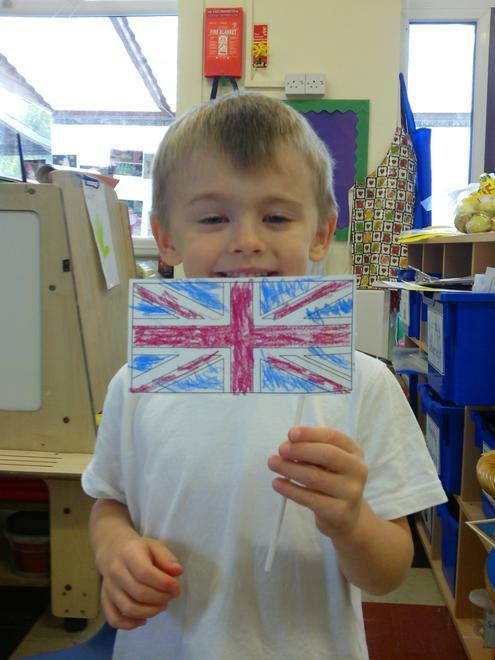 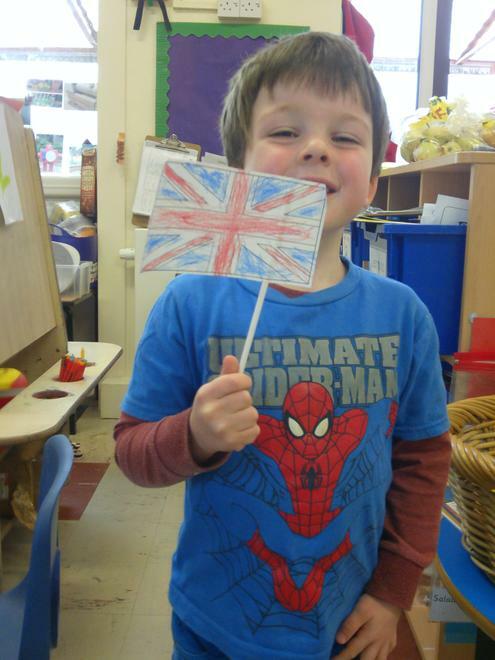 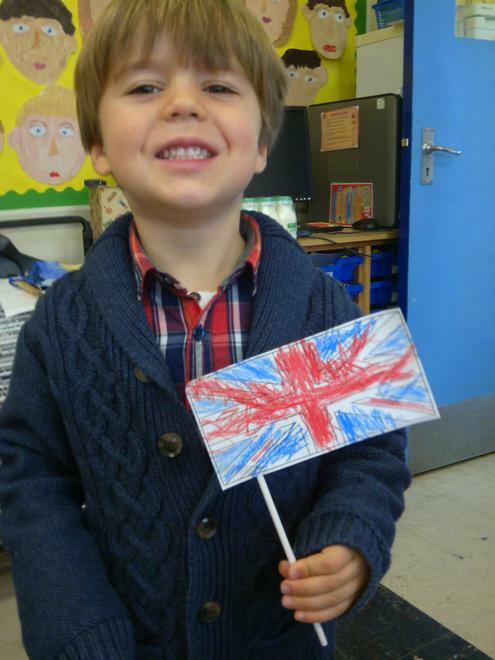 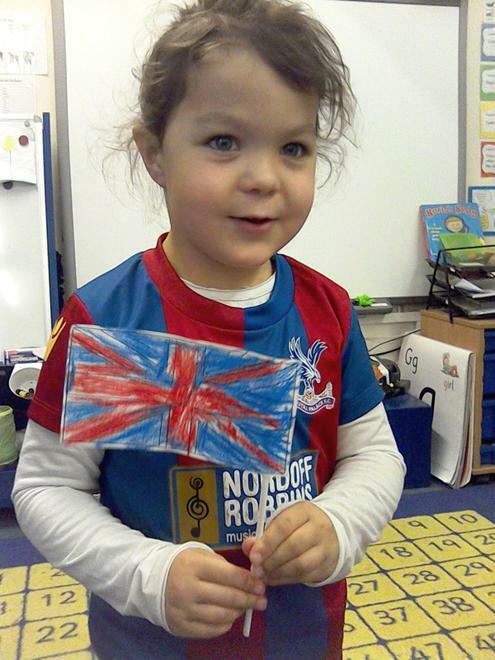 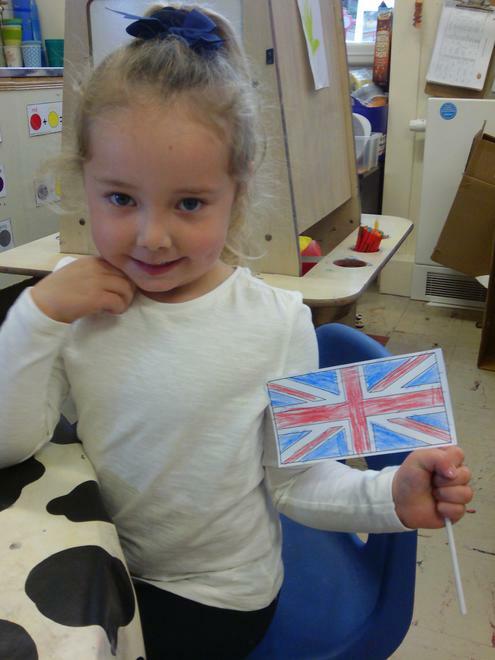 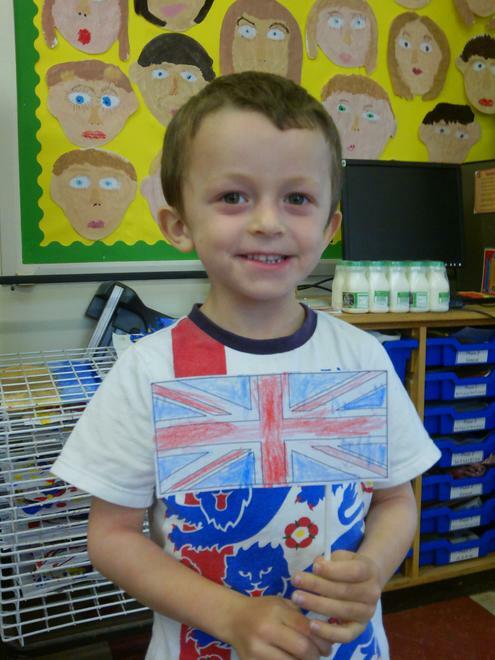 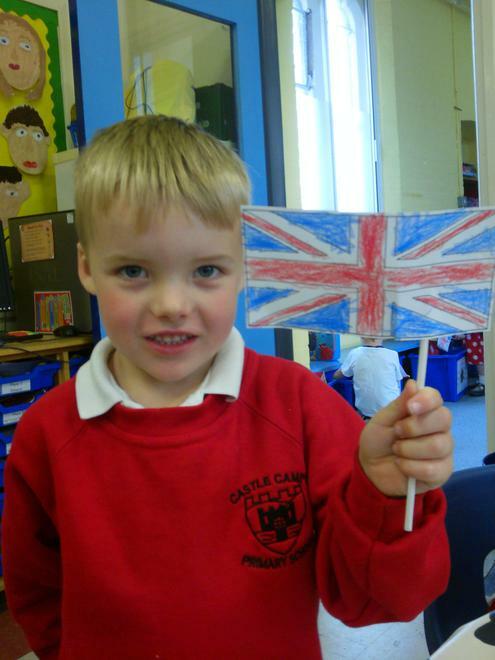 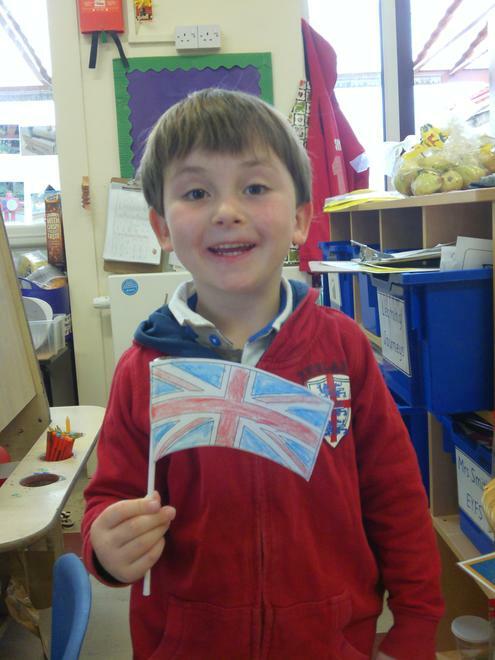 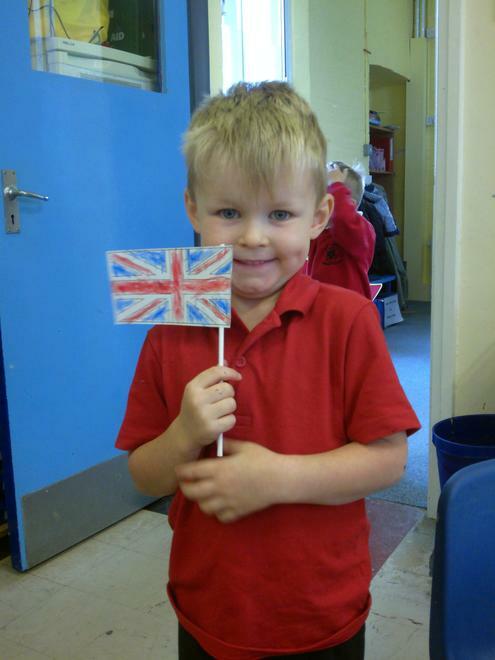 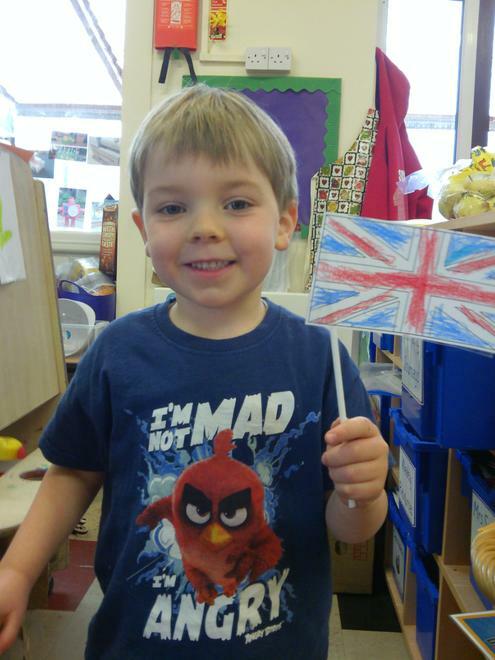 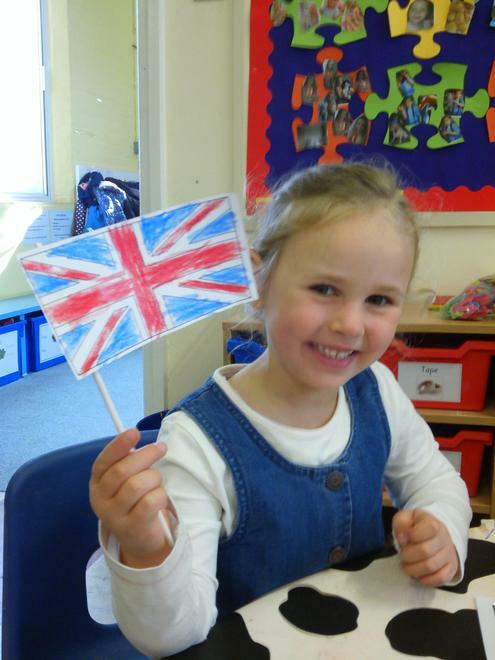 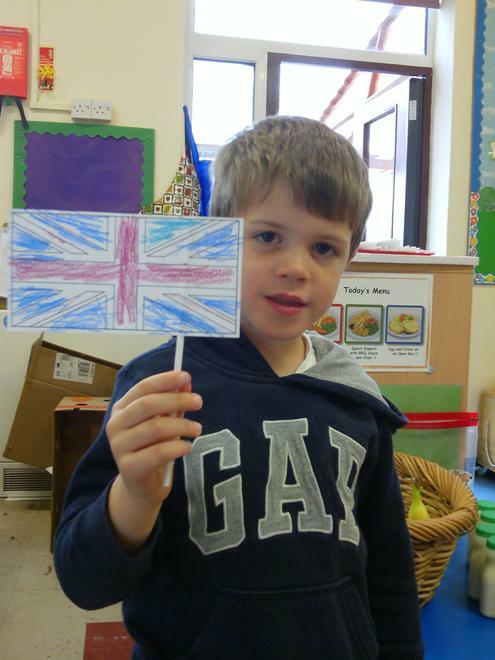 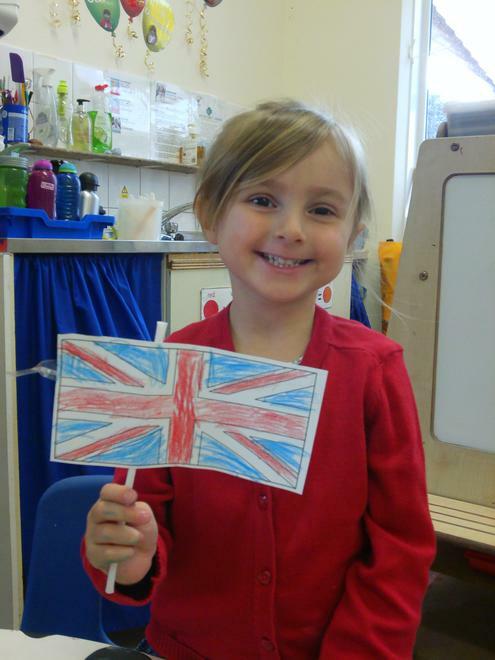 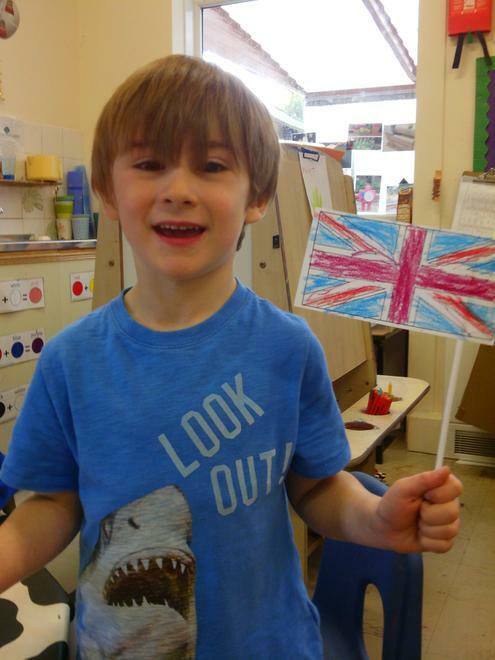 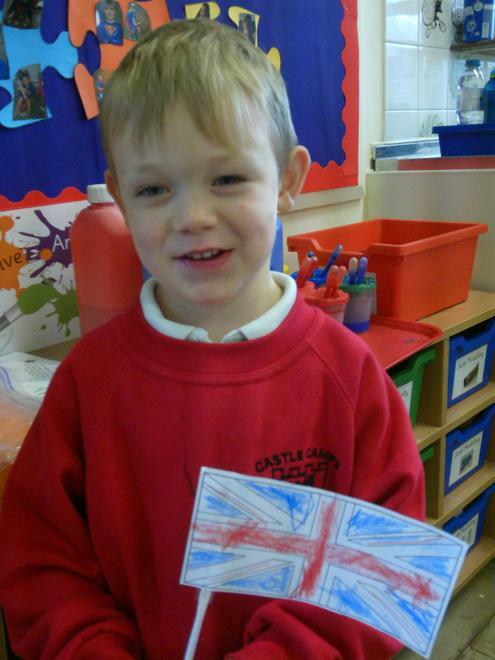 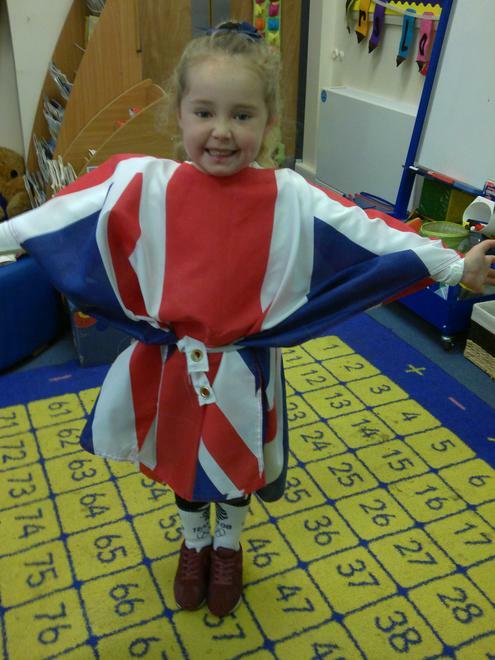 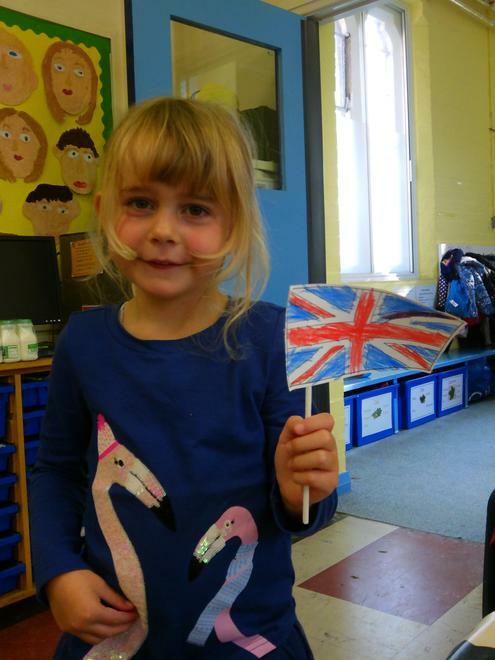 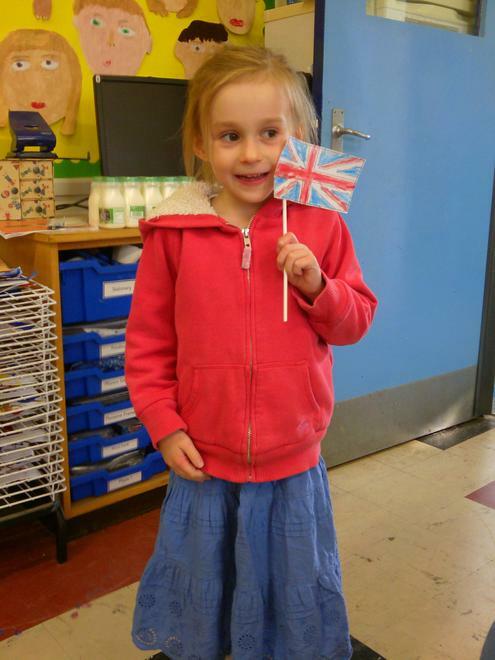 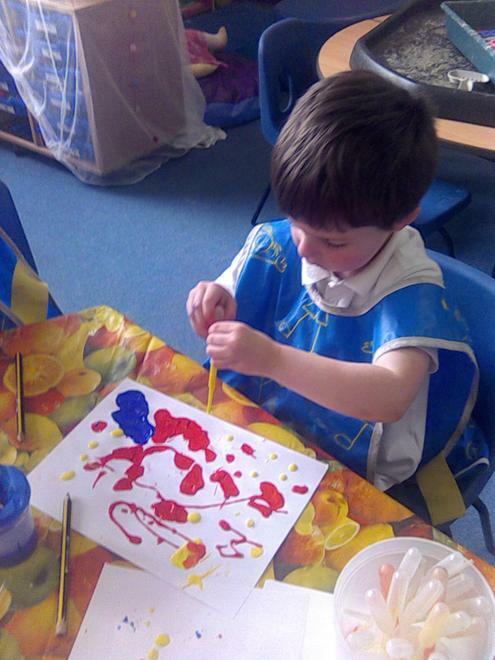 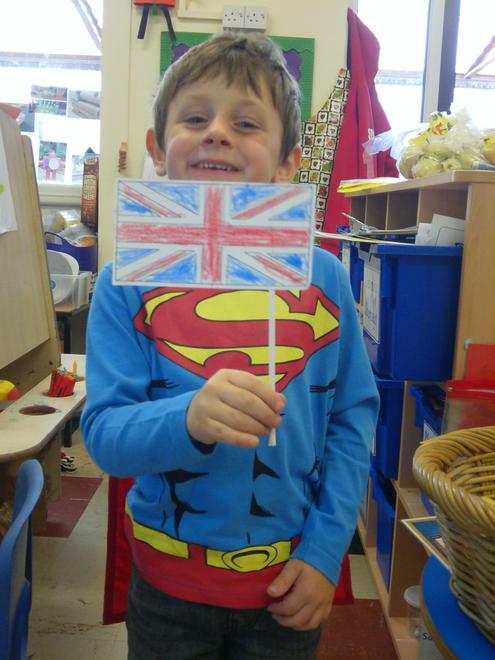 We celebrated Red, White and Blue Day to raise money for charity. 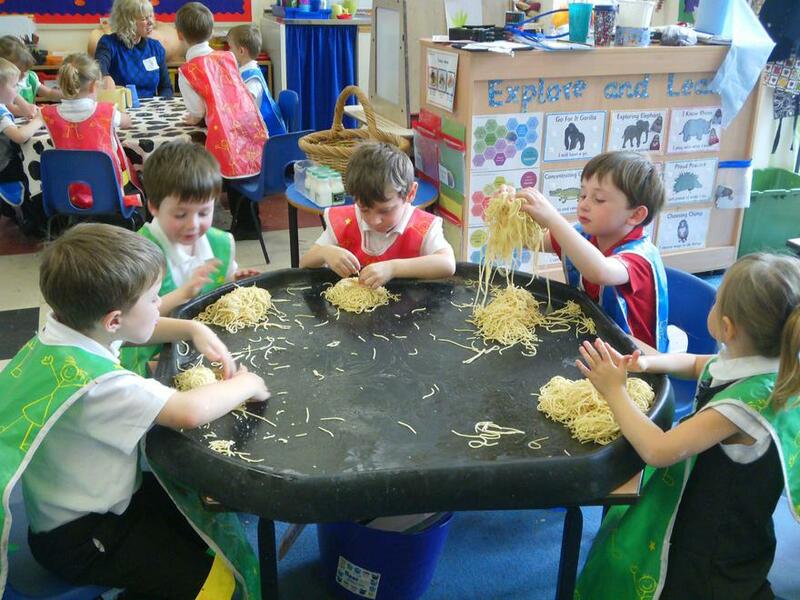 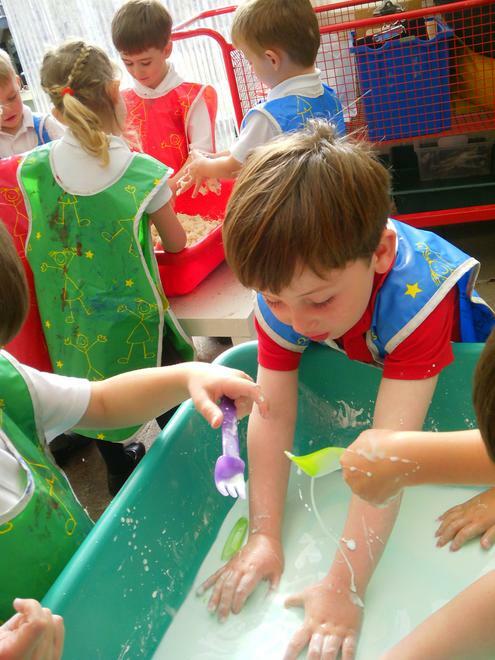 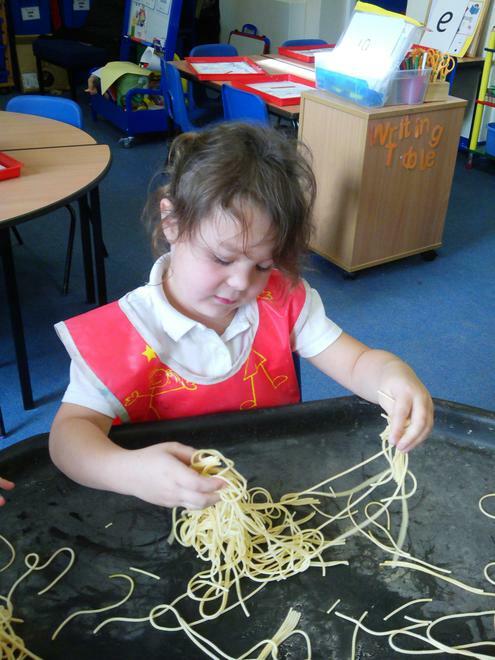 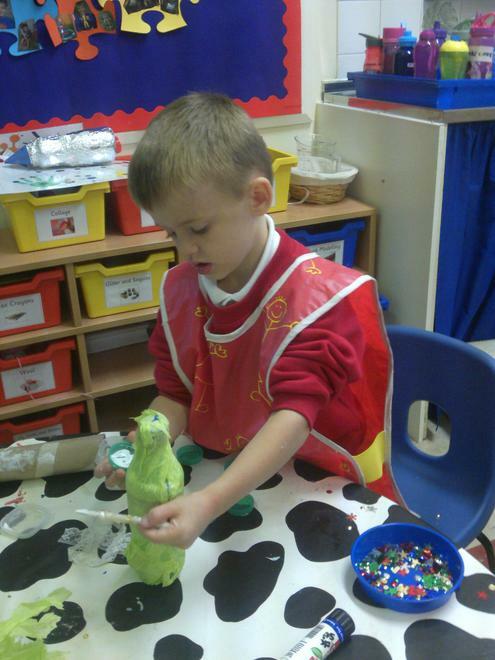 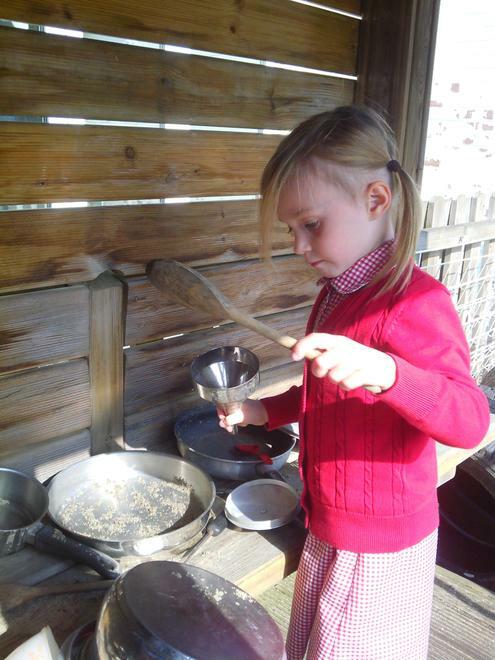 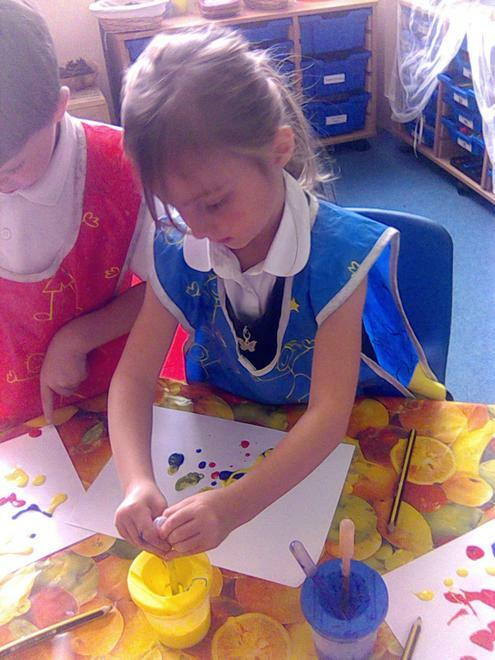 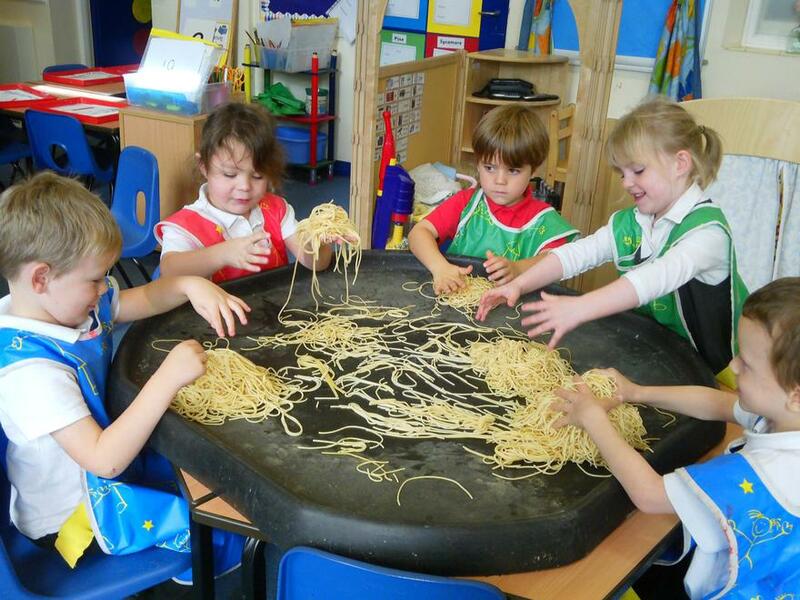 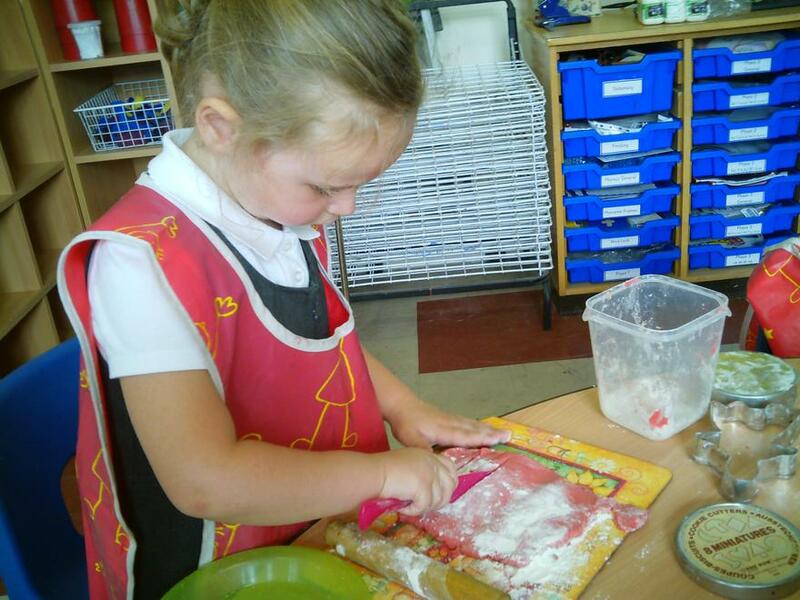 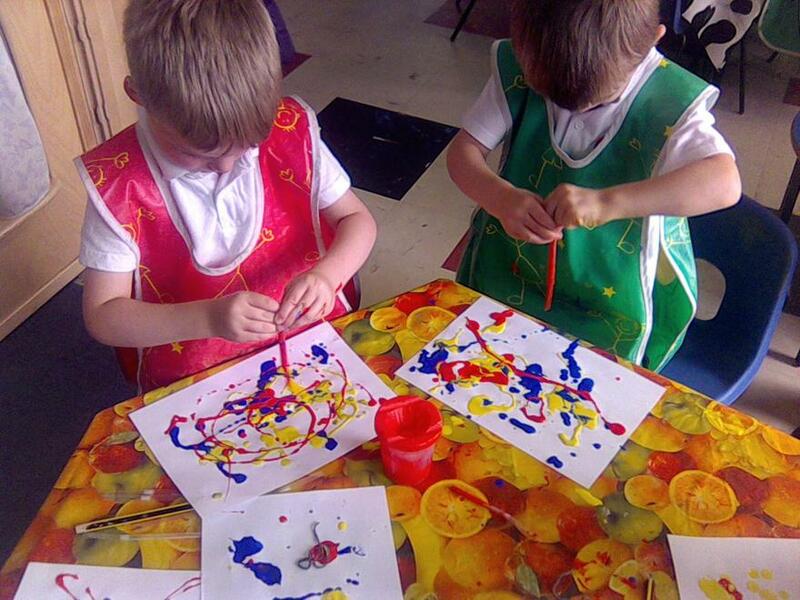 We have been exploring our senses through messy play. 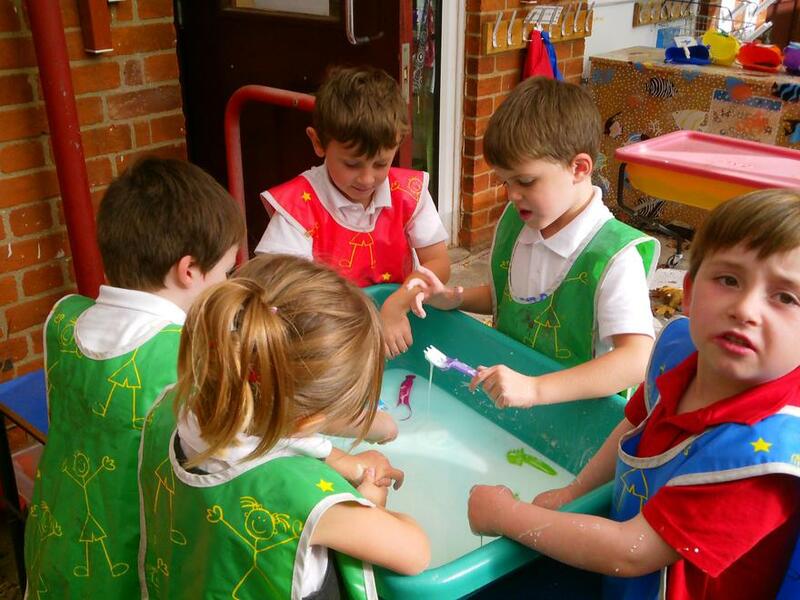 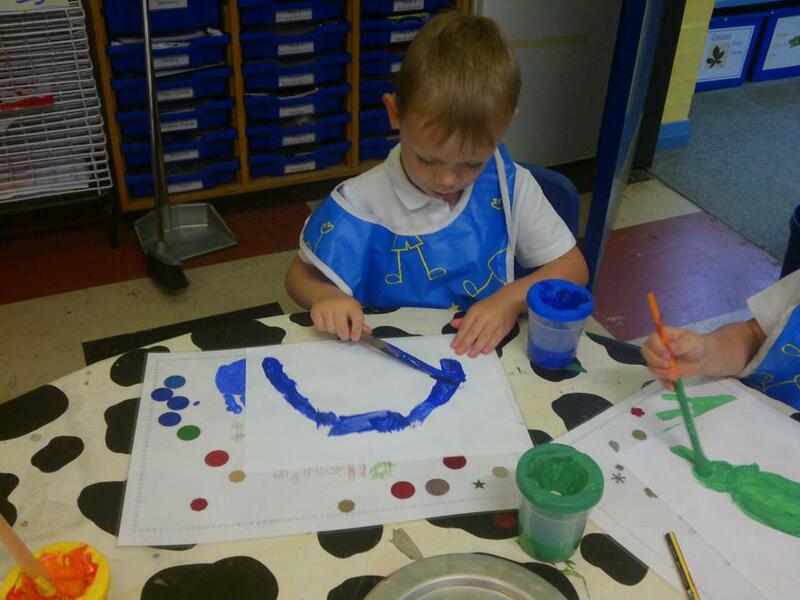 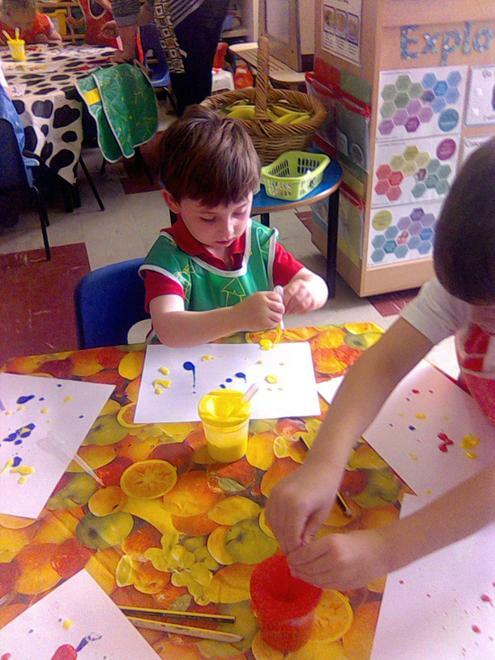 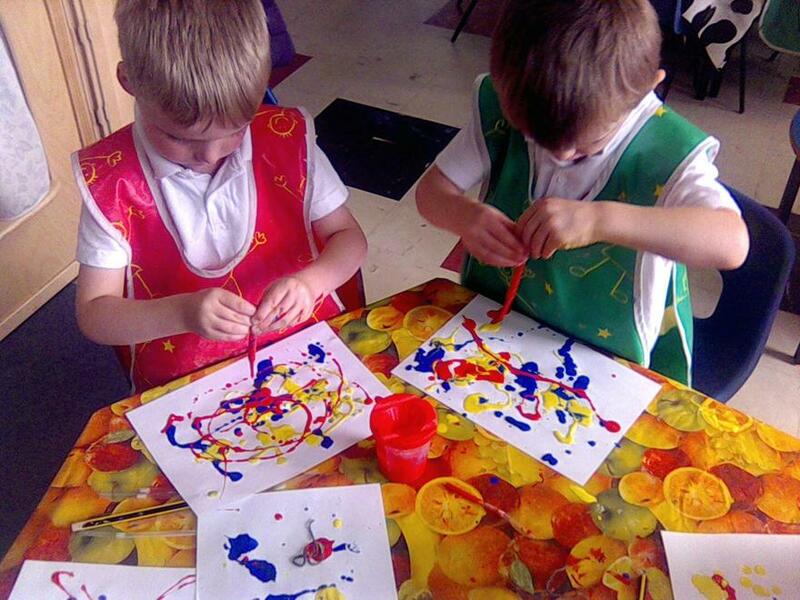 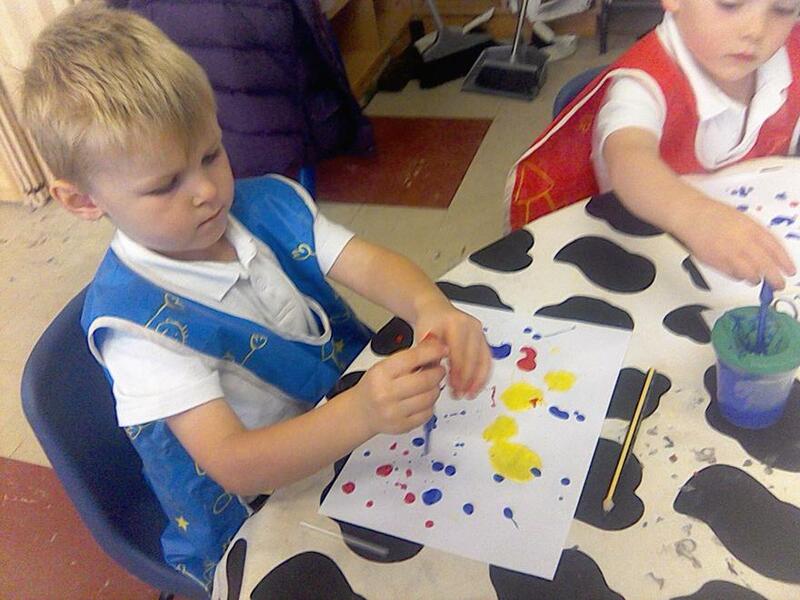 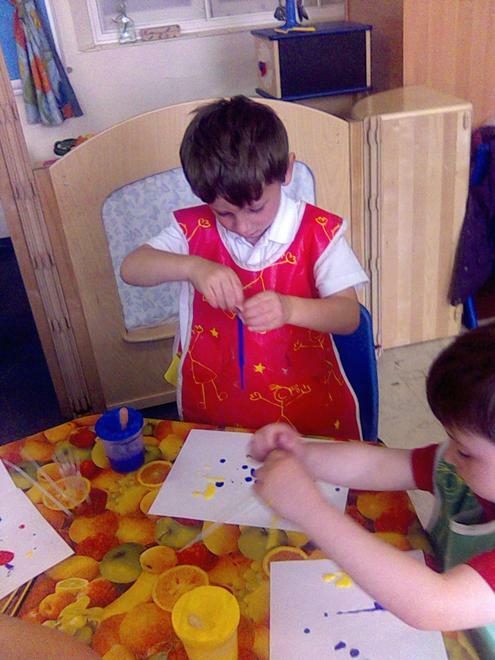 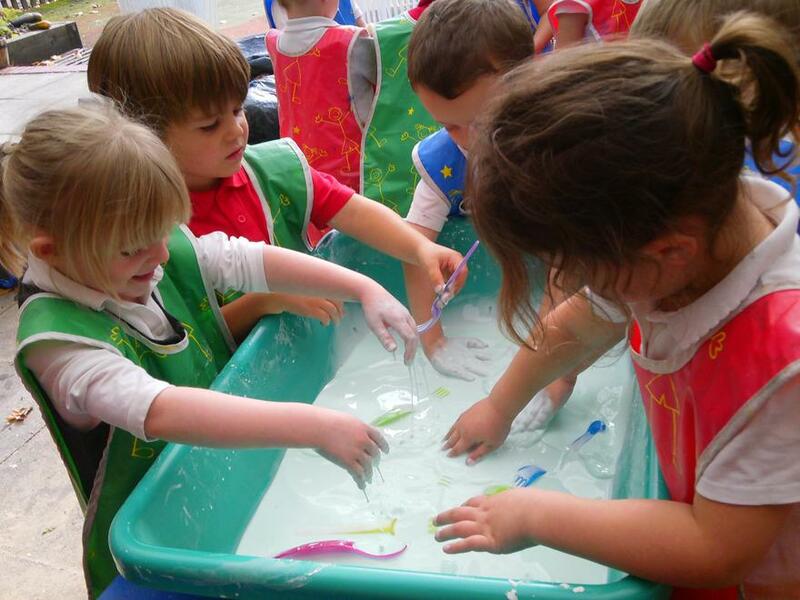 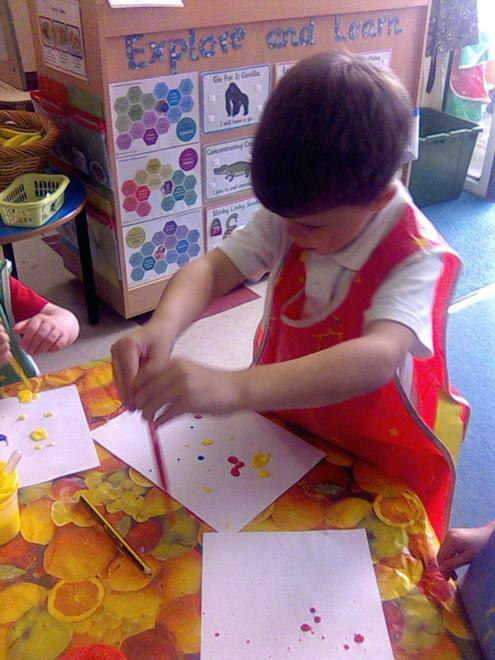 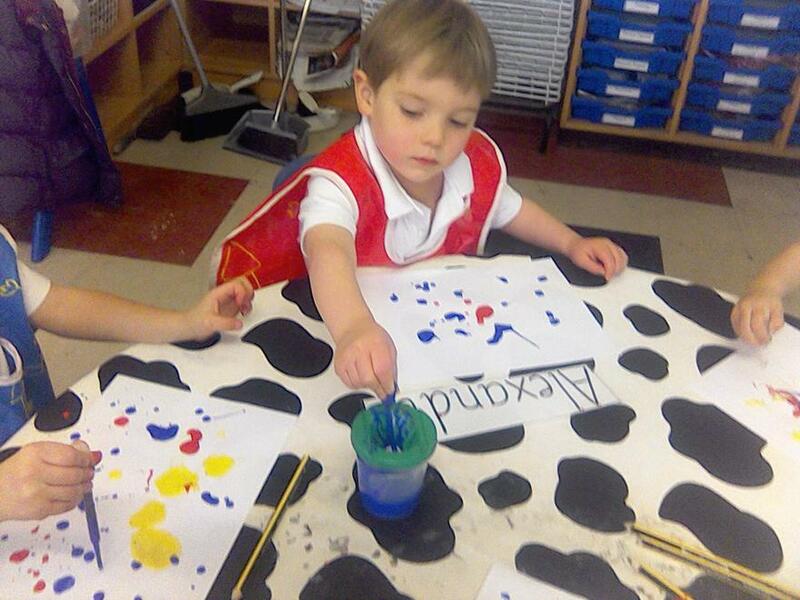 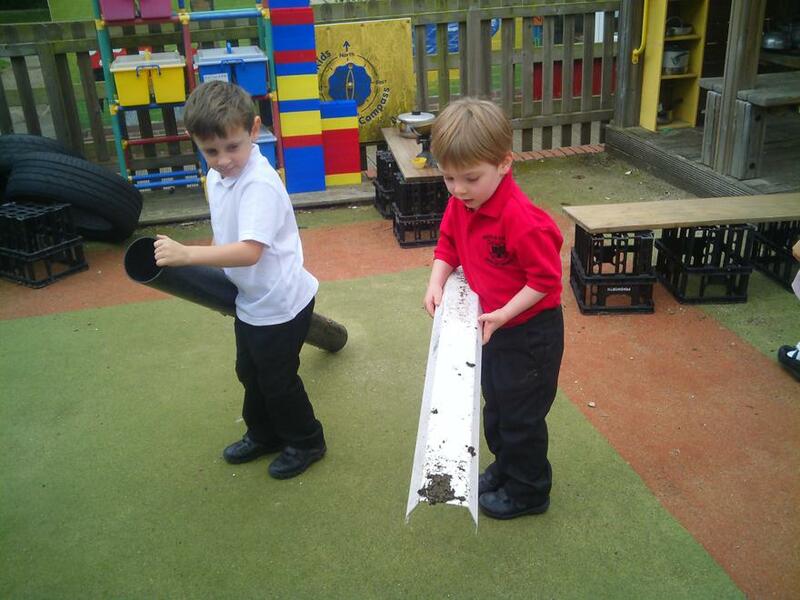 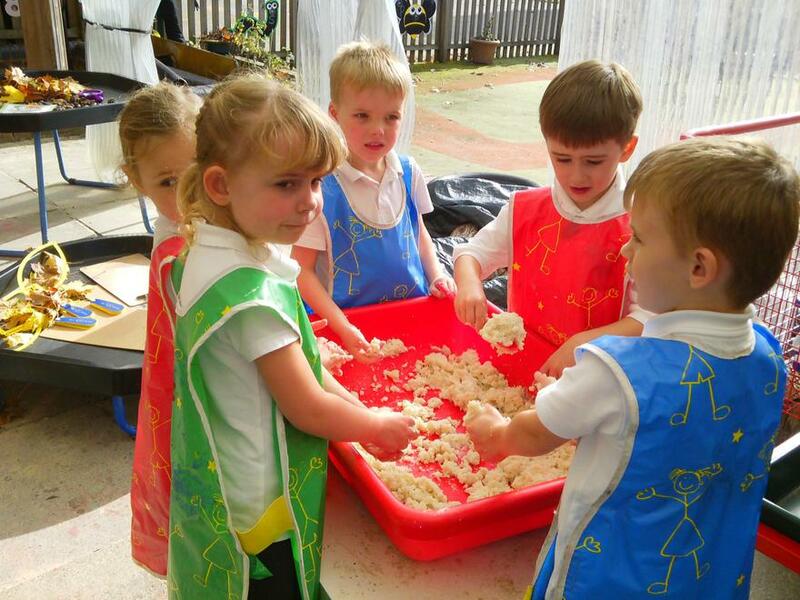 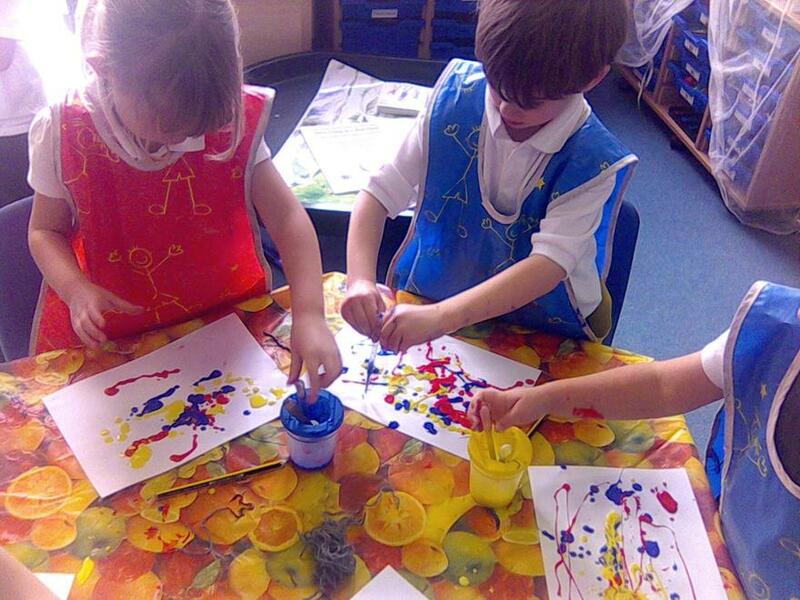 We made splattered mud pictures like the 'thick oozy mud' from Bear Hunt. 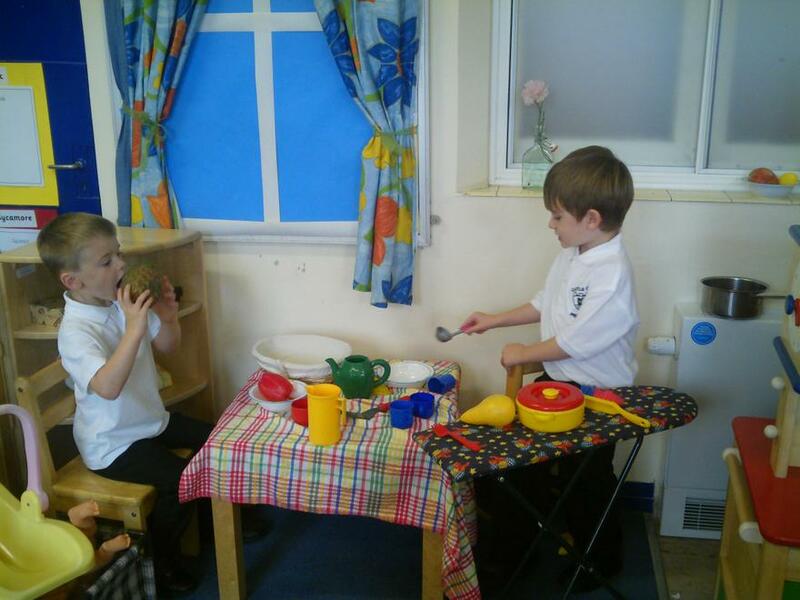 PC Wright came to visit and have lunch with us too. 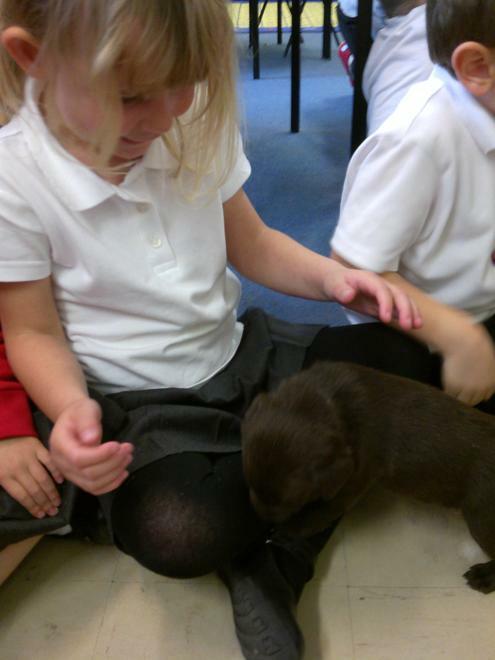 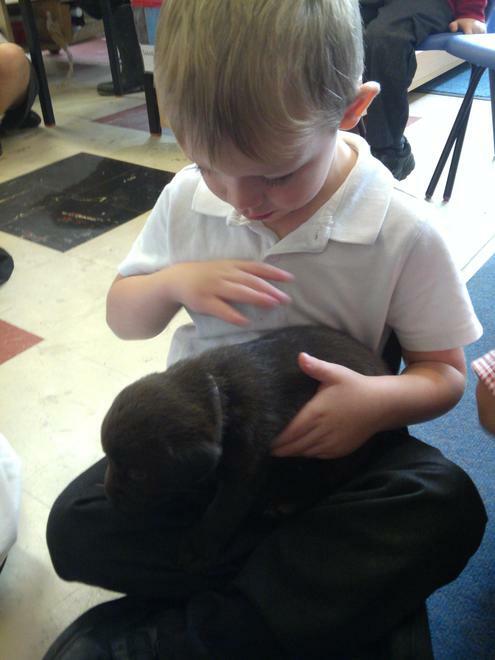 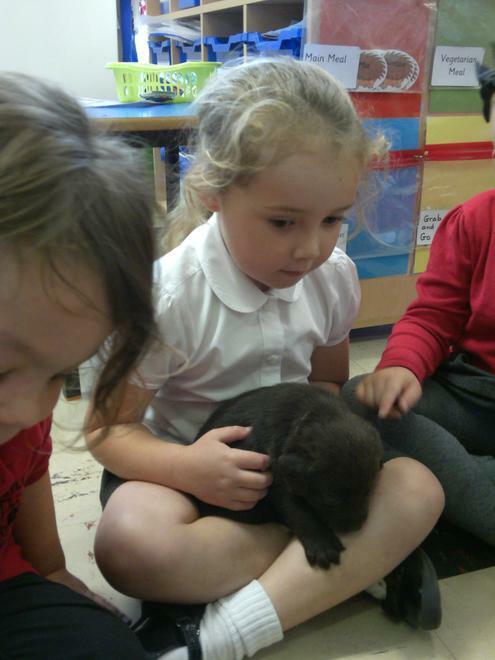 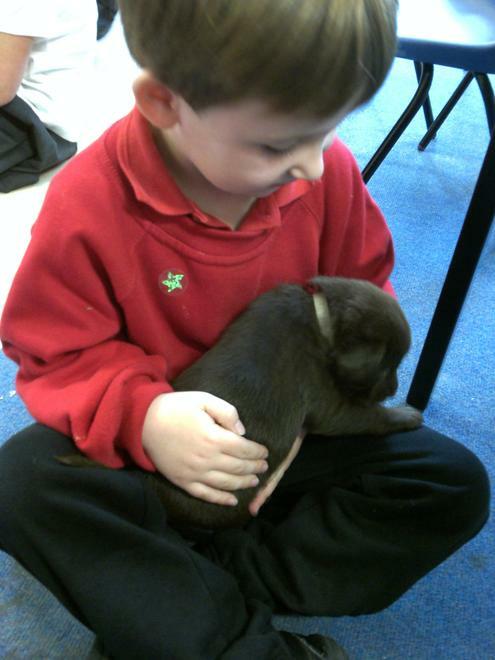 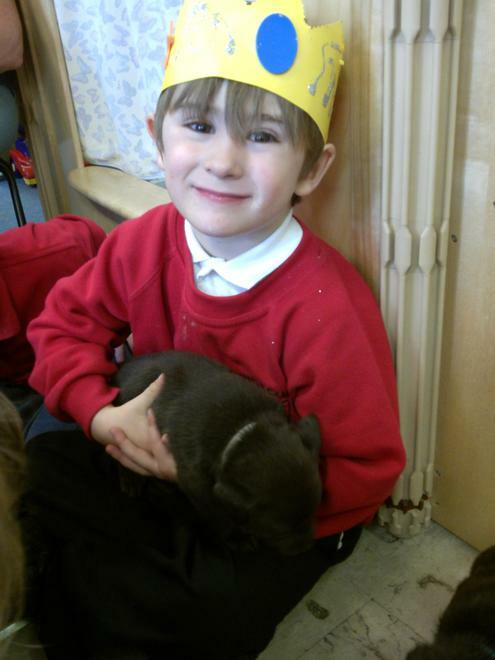 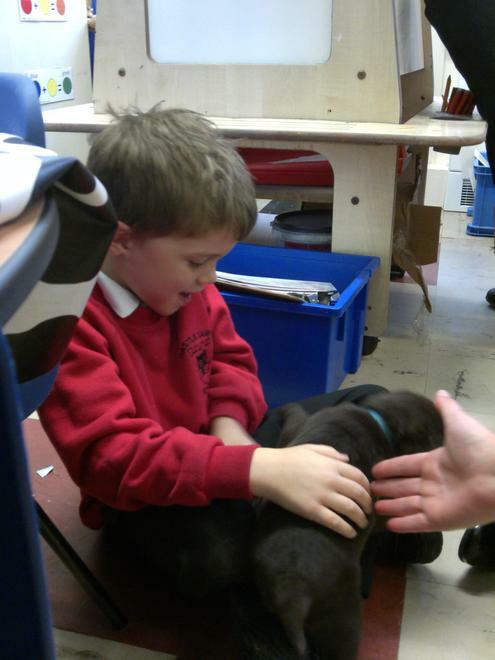 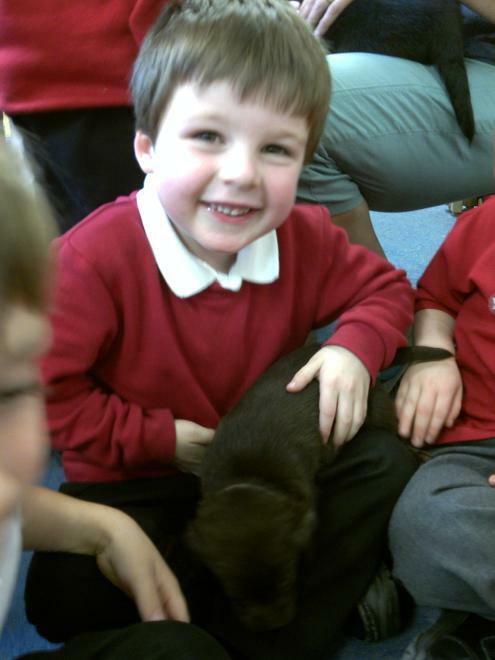 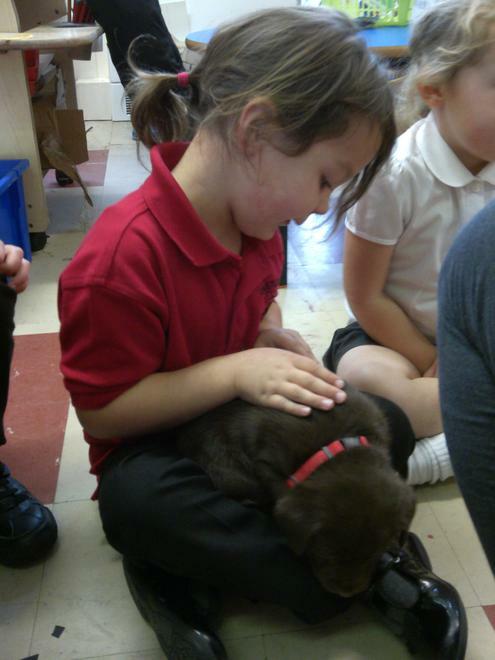 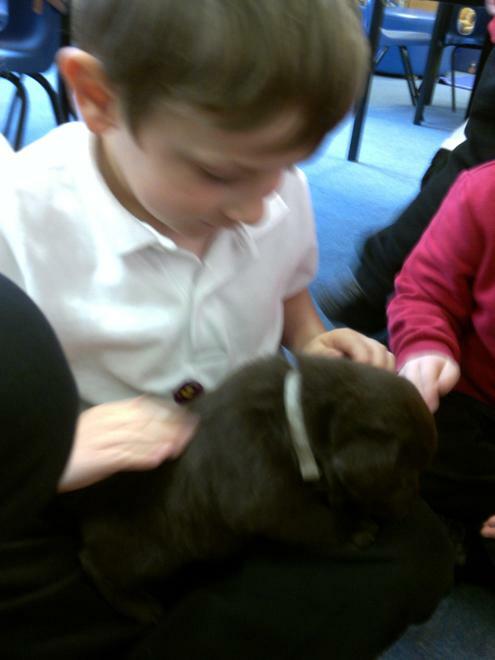 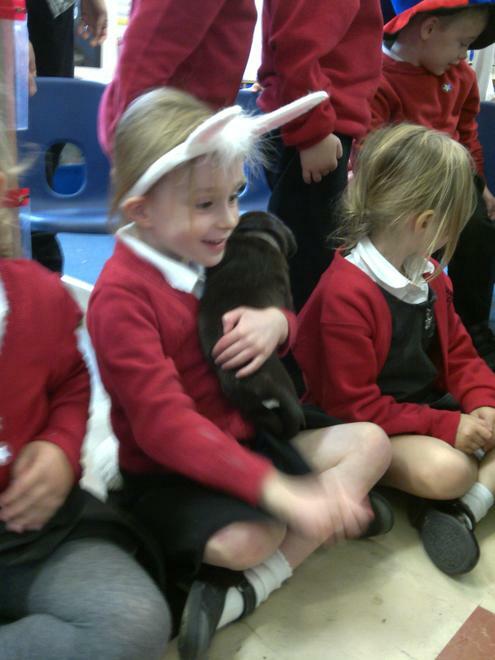 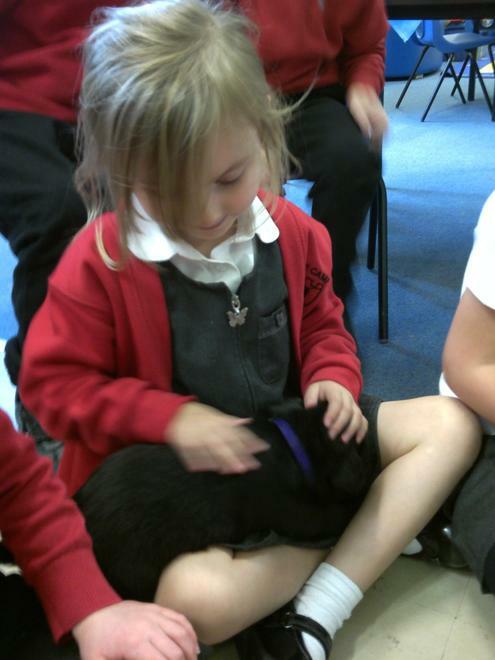 Mrs Bircher brought her puppies in to meet us.